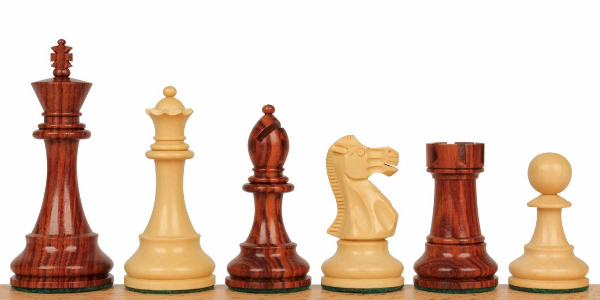 Wood chess pieces are usually made from extremely hard wood with a tight grain. 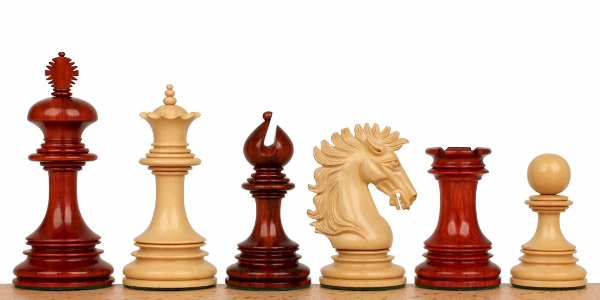 This produces a durable chess piece that is less prone to surface damage such as scratches and also allows more refined carving of the pieces. 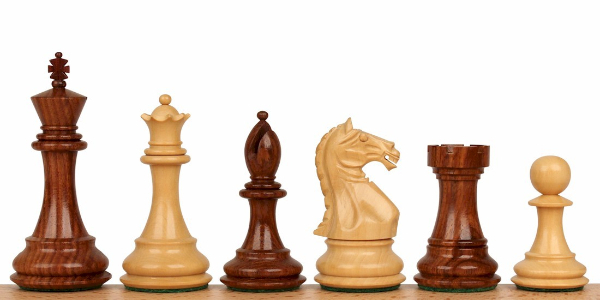 The most common woods used are boxwood for the white pieces and sheesham (golden rosewood), rosewood, ebony, and padauk for the black pieces. 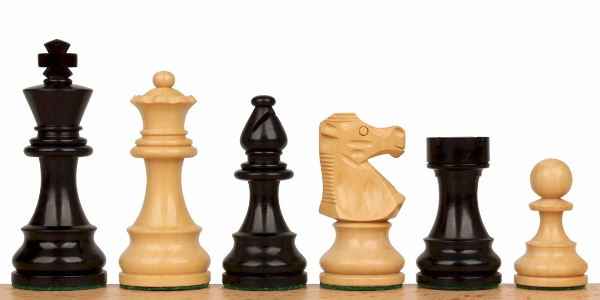 Ebonized (black dyed) boxwood is commonly used for the black pieces and when done well can look almost like real ebony at less than half the price. 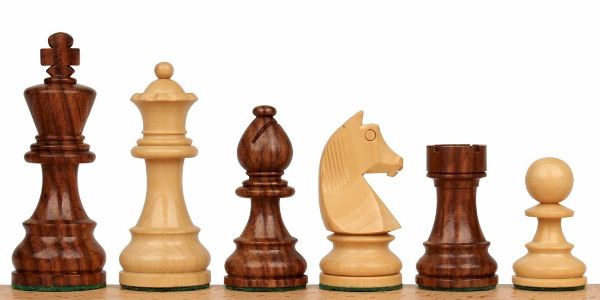 The cost of wood varies greatly and is usually the biggest factor in the price of a chess set. 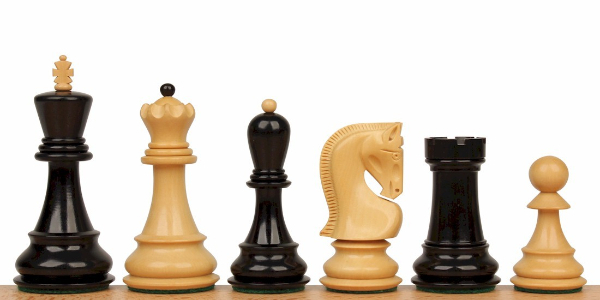 Acacia and ebonized boxwood are the least expensive woods. Sheesham (golden rosewood) is a little more expensive than acacia and boxwood and is now restricted requiring special permits to import. Rosewood is a medium priced wood and is also restricted and much more difficult to import. Ebony and padauk are very expensive woods - about twice as much as the other woods. Shop below for the wood combination you’re looking.